Where can urine drug tests be used? Workplace: Employers require potential employees to get tested to ensure that the employee can perform their job functions safely. Drug & Alcohol Rehabilitation Centres: To ensure that the patient or client is following their treatment plan, these centres may regularly test residents to ensure they are not still using drugs. 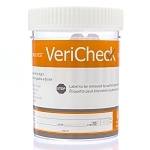 These drug test kits are the easiest to use, on-site testing products available. We offer multi-drug cup tests, multi-drug cassette dip tests, as well as single-panel drug tests. 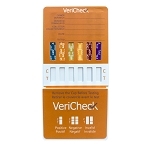 These tests deliver instant results with unrivaled ease, convenience, and accuracy. Each test will produce either a presumptive positive or a negative result. A presumptive positive result will yield only one coloured line in the test zone. A negative result will produce two coloured lines in the test zone making the test very easy to interpret. Are you wondering why you should choose on-site urine drug testing? Simultaneously screen for many different drugs. Drug use can be detected for up to 10 days.